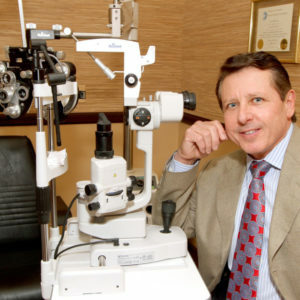 Dr. Garmizo founded West Broward Eye Care in 1985. Today, it operates as one of the largest, state of the art optometric practices in South Florida. In 2009, Dr. Garmizo opened Everything Eyes to bring the same quality eye care and leading edge technology to Boca Raton/Delray Beach. Dr. Garmizo attended the University of Florida for his undergraduate studies and received his Doctor of Optometry degree from The New England College of Optometry in Boston, MA. After completing his externiship at the Bascom Palmer Eye Institute, Dr. Garmizo remained on the Optometry Staff there for an additional two years prior to opening his private practice. Dr. Garmizo specializes in ocular disease diagnosis and treatment and prescription of specialty contact lenses, including: astigmatic, multifocal, tinted, post-surgical, and lenses for keratoconus. Dr. Garmizo has lectured and authored several professional publications. He has served as a Consultant and Examiner to the Florida Board of Optometry and Examiner for the National Board of Optometry. In addition, he has served as an officer of the Broward County Optometric Association (BCOA) and on committees for the Florida Optometric Association (FOA). He is a Low Vision Panelist with the Florida Divison of Blind Services (DBS). He is a member of the American Optometric Association Contact Lens Section. Dr. Garmizo is a Fellow of the American Academy of Optometry, and an active member of American Optometric Association (AOA), the Florida Optometric Association (FOA), the Broward County Optometric Association (BCOA), the National Keratoconus Foundation (NKCF) as well as the International Keratoconus Academy (IKA). Personal interests include Martial Arts training, fishing, and music. Having practiced Optometry for over 25 years, one might suspect that my passion for eyecare has diminished. However, that is simply not the case. I still enjoy the challenges of providing ultimate eyecare, regardless of how simple or complex a patient’s case may be.